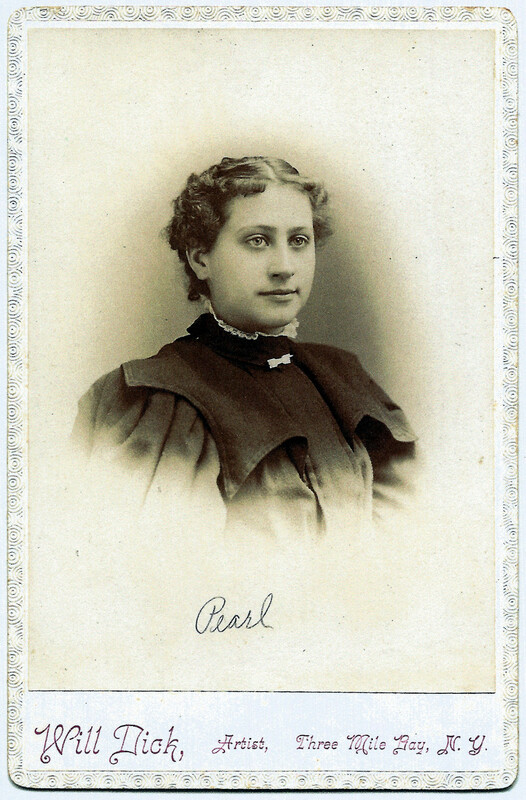 "Pearl Angell, daughter of Lester C. Angell, was born October 22, 1879 on the farm near Blackberry, Kane Co., Illinois, where her parents were living at that time. When a few months old, her parents moved to Caroll Co., Iowa, and bought prarie land on which to establish a home. Her early childhood was spent on the home farm at Maple River Jc., Caroll Co. Iowa. In 1886 the family moved back to the Baird homestead at the Carrying Place, Town of Lyme, Jefferson Co., New York. Here Pearl Angell grew. She attended the Fox Creek District School. On December 3, 1897, she married Lewis Day Majo of the Town of Cape Vincent, son of Mrs. Laura Majo, and brother of Etta May Majo, who married Robert D. Angell, Pearl Angell's brother. A double relationship, making the children of Pearl (Angell) Majo and Robert D. Angell double cousins. 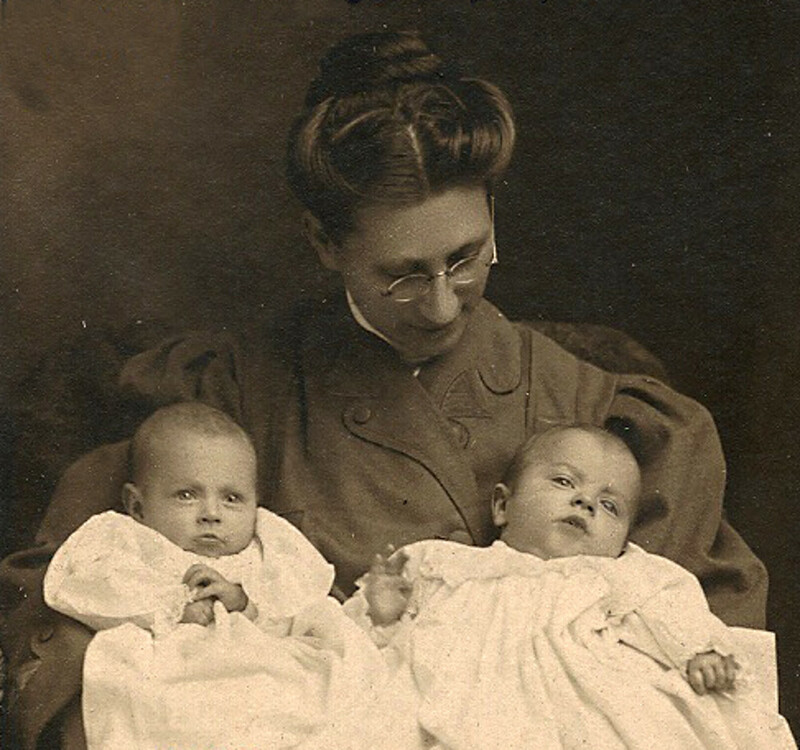 Pearl (Angell) Majo and her husband had four sons: Carl, Alvah, Merton and Bruce. Two daughters: Clara and Mary. Merton and Mary are twins. They lived for a time at the Majo farm in the Town of Cape Vincent, later moving to Three Mile Bay, N.Y., where Lewis Majo operated a blacksmith shop for some years. There they bought a farm on Pillar Point, Town of Brownville, Jeff. Co., N.Y., where they lived until they retired from farming activity." -R.D.A.